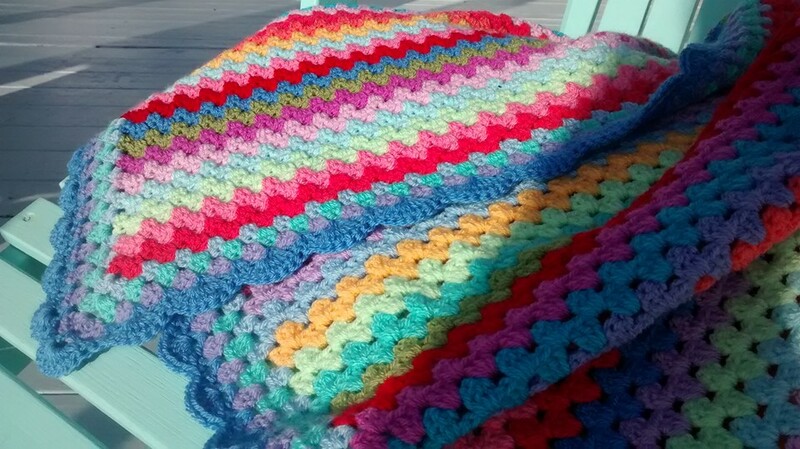 I started crocheting this blanket in January, I think. I purchased the yarn online from Wool Warehouse; it was the Attic 24 Original Stylecraft Special DK yarn pack. The thing about following a pattern that’s already laid out for me is that I don’t have to think. 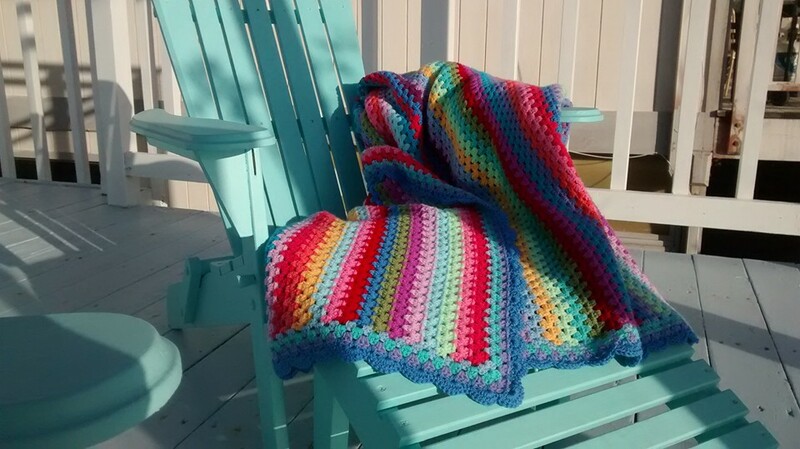 I can just sit with my hook and yarn, zone out, and fall into the rhythm of crochet, which can go by very quickly. This is a particularly soothing activity when I’ve spent all day in prison being a psychologist and need to unwind. 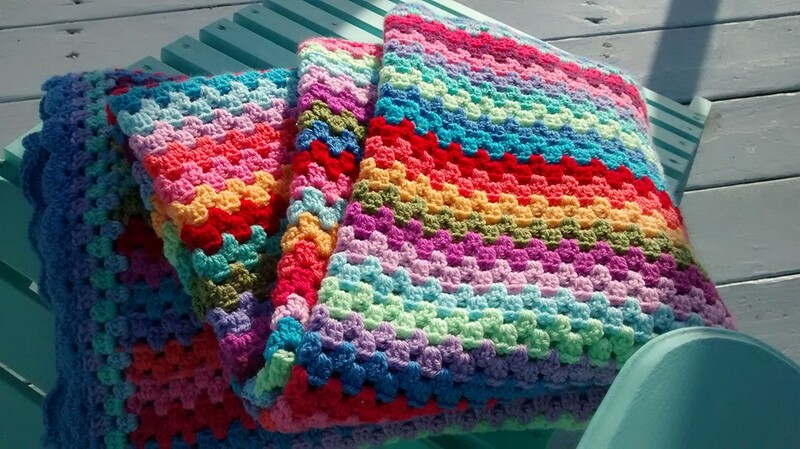 One thing I did differently from the pattern, though, was the border. I substituted a scalloped edging instead. Overall, I think it turned out well. 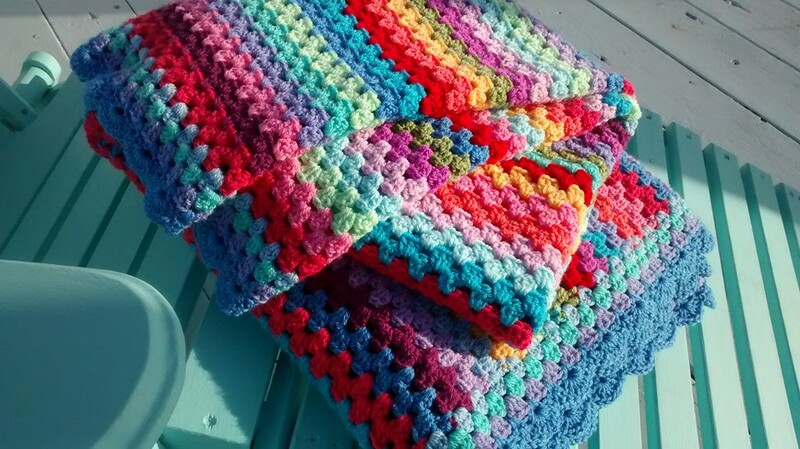 Crocheting this particular style of blanket was such an enjoyable and satisfying project that I’m already planning to make another one. It feels like you just started that blanket. It’s beautiful. 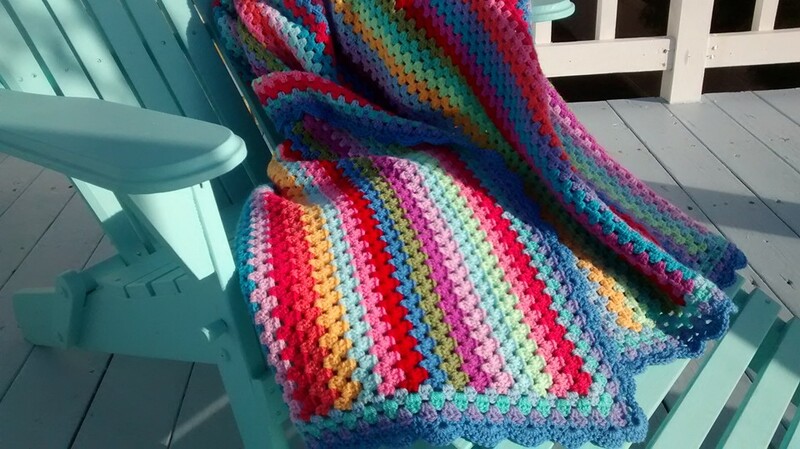 That blanket is beautiful,love the colours.